A combination of several of my favorite things! 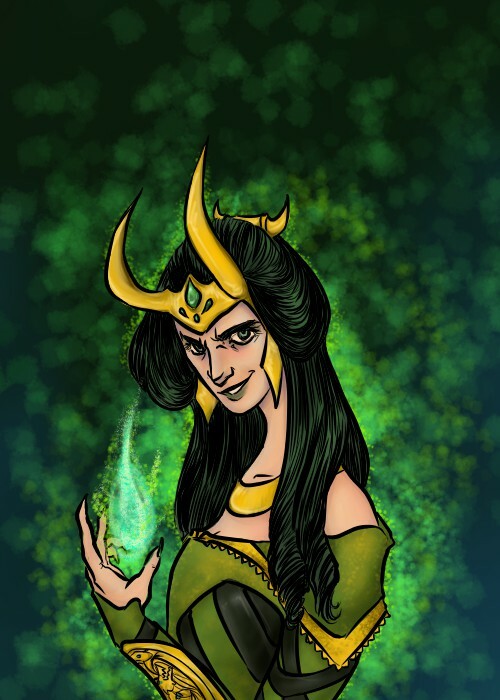 MCU Loki! Awesome lady designs! Playing with sprinkle brushes I made in FireAlpaca! ETC!